The number of homes having gas and electricity disconnected has hit staggering levels with more than 58,000 disconnections in one year and the state government ordering an urgent inquiry. Disconnections for electricity have hit a new record with more than 34,000 homes having power shut off last financial year and more than 24,000 having gas shut off. “These figures represent the highest disconnection rate ever recorded by the Essential Services Commission,” Energy Minister Lily D’Ambrosio said. The number of homes disconnected from electricity jumped 36 per cent and the number of homes that had gas shut off jumped 42 per cent in 2013-14. “These are figures that you can’t ignore and no government should ignore,” Ms D’Ambrosio said. “That is an incredible number of people who essentially can’t get access to their gas and electricity … and that is too high a figure,” she said. The Andrews Government has requested the Essential Services Commission review the financial hardship programs of energy companies. According to the Essential Services Commission electricity prices increased by an average 2.5 per cent in 2013-14 after increasing almost 20 per cent in 2012-13, this included increases due to the introduction of the carbon price. The Victorian Council of Social Service said the rate at which Victorians were being disconnected was “alarming” and that numerous reports had shown retailers needed to do more to ensure people were not being treated unfairly. 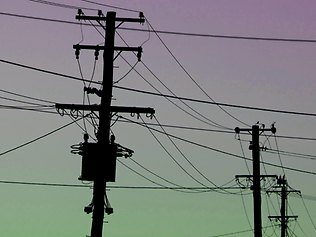 “Since 2010 the rate of wrongful disconnections of Victorian energy customers has increased six-fold, providing firm evidence that too many energy retailers have taken a harsh and punitive approach to the supply of what are essential services,” deputy chief executive Mary Sayers said. Salvation Army captain Jason Davies-Kildea said he had received feedback that people working at call centres would fail to mention their company had policies to help people struggling to pay their bills. He said the Salvation Army was especially concerned about asylum seekers, because they were forced to survive on significantly lower government welfare payments than Australian citizens. Brotherhood of St Laurence senior manager Damian Sullivan said some people were going to extreme measures to avoid getting hefty electricity and gas bills. He had heard cases of people going to the local pool to save on hot water and people lying in their homes in darkness because they did not want to turn their lights on in the evening. Consumer Action Law Centre’s Janine Rayner said there were anecdotal reports some companies had been dumping customers when they realised they were in financial difficulty. Before a residential disconnection a retailer must issue a reminder notice, a disconnection warning notice and make a final attempt to contact the customer regarding payment and disconnection. Ms D’Ambrosio there is “something terribly wrong when we have more than 30,000 consumers disconnected from energy supply each year”. “We don’t want a community, we don’t want a society that continues to sit by and see disconnections, increase – that is not a modern Victoria that is a Victoria that we will tolerate,” she said. She said people can’t live without gas and electricity. “We are a modern community, and anyone who hears of any neighbour that may be disconnected from their gas or electricity would say, any reasonable person would say, that is not a community, that is not a society that I feel happy with,” she said. Ms D’Ambrosio said the cost of energy was increasing and it was timely to review the policies and practices of energy retailers concerning those struggling to pay their bills. “Our inquiry, our review, will get to the bottom of the reasons for the disconnections, but also importantly will look at what the energy retailers are actually doing in terms of their policies for identifying financial hardship amongst their customers early enough so they can offer assistance,” she said. “We are very keen to ensure that the Essential Services Commission will look at not just the policies of energy retailers but also their practices,” she said. The commission may need beefed up powers to ensure retailers are not acting too quickly to disconnect homes struggling to pay bills and will look at a new way of measuring the effectiveness of financial hardship programs. She said the inquiry would also consider ways to reduce energy consumption. Asked if the carbon tax had an impact on disconnections, Ms D’Ambrosio said: “There are a range of factors that have seen an increase in disconnections across Victoria, including cost of energy in Victoria. As reported by the Australian Energy Market Commission last year, Victoria has the highest retail margins compared to any other state in the national electricity market”. The commission is expected to provide its first report to the minister within six months. Opposition energy spokesman David Southwick said: “Daniel Andrews must ensure Victorians are treated with respect by energy retailers and not left in the dark. “Labor made it harder for Victorians to pay their power bills through the carbon tax and smart meter debacle. A government spokeswoman said the previous inquiry was focused towards identifying the causes of disconnection while the new inquiry would look beyond the cause and seek to identify whether there needed to be changes to retailer practices – particularly what retailers are doing to ensure customers in financial hardship are not disconnected from power.